There’s a reason why the British choose Andamans as the place to gather around all the prisoners. Maybe It’s because they can have a place remote from the main land which will in turn keep the mainlanders away from hearing the screams or maybe they would’ve decided to give the prisoners a glimpse of heaven before they reach there!. With the pristine surrounding water, gorgeous white sand beaches, surreal sunsets and sunrises, abundant natural beauty and spellbinding marine life, these Islands are nothing short of a heaven. Andamans will serve you good as the perfect getaway location no matter whatever your cravings are. With a plethora of activities like scuba diving, snorkeling, glass bottom boat ride, sea walking and swimming with the elephants, the Andamans outshine all the other adventure spots of India. With a moderate climate all year long, all the required facilities and almost an untouched marine life, the Scuba Diving in Andamans is undoubtedly the best scuba diving experince in India. Here we will show you some of the many reasons why Andamans is the best scuba diving location in India. Best places to dive are Port Blair, Havelock Island & Neil Island. 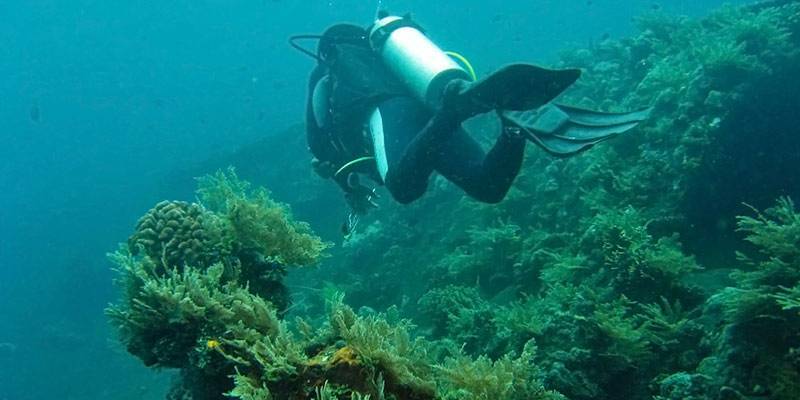 There are lot of reefs around many of the Andaman Islands where Scuba Diving happens. The 55 metre deep coral wall will take your breath away. One of the few in the entire world, The Coral Wall in Havelock Island is one of a kind. During the dive you will be ushered in by a school of Snappers or Critters. Scroll down deep into the sea to explore this magnificent citadel like a webpage with surprises waiting for you at every foot. Home to a diverse coral life The Wall shouldn’t be at the top of your Itinerary because deserts are always served at last. 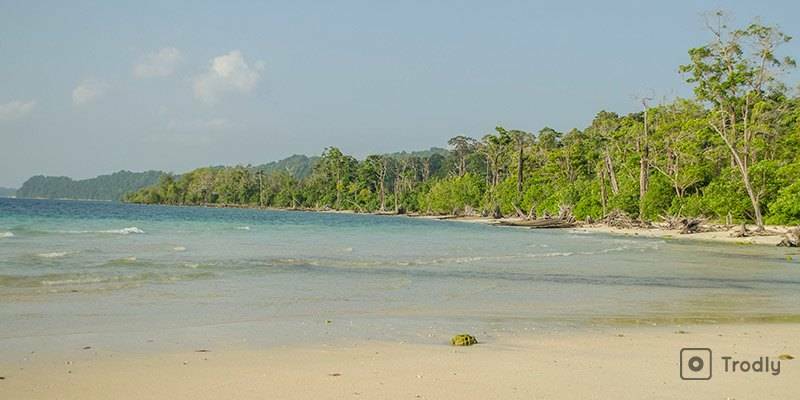 Andamans are characterized by a medium humid climate throughout the year. Owing to the sea is breeze, the evenings and mornings are very pleasant and there are no winters. This makes it a year round destination unlike other parts of India, so you won’t have to keep a track of weather conditions there. Also this helps the water maintain its temperature. It’s worth noting that Scuba Dives are open even during the very wet Monsoon months here. The Andamans are famous for their crystal clear water. The turquoise sparkling infinite sea is a sight to behold. 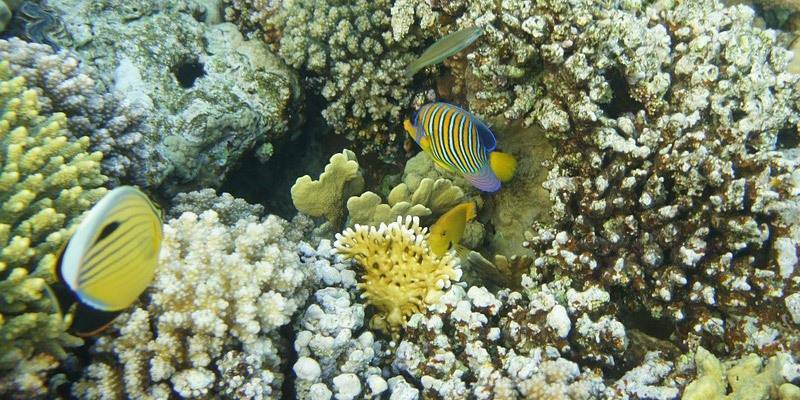 What makes it stand out is the exquisite marine life and you’d have an excellent visibility. In your scuba diving experience you’d be taken aback to explore the wonderland lying beneath the sea. 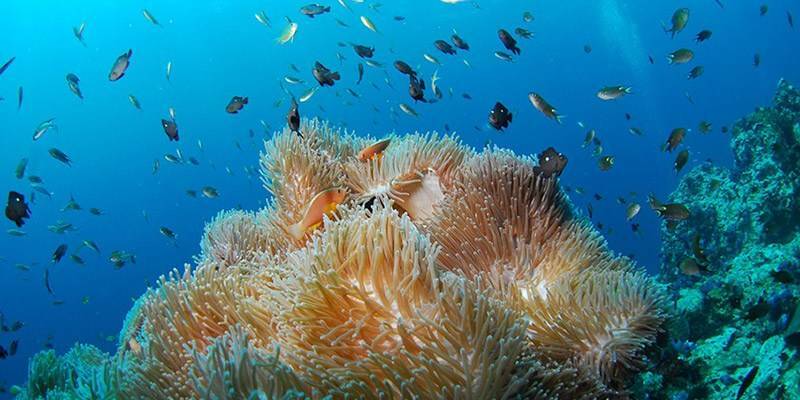 With more than 550 species of corals, the marine life of the Andamans attracts people from around the globe. In addition to these, you also get to witness flamboyant varieties of starfish, clownfish, butterfly fish, algae, sea plants and what not. They also have largest sea turtles. The Havelock Island is the most popular for scuba diving. This white sand beach has many professional divers at your service and it is of great help for the first timers. The depth is 15-25 m so it is safe even for the beginners. There are many off shore sites with clearer waters and more variety of fishes, which is ideal for a relaxing dive. 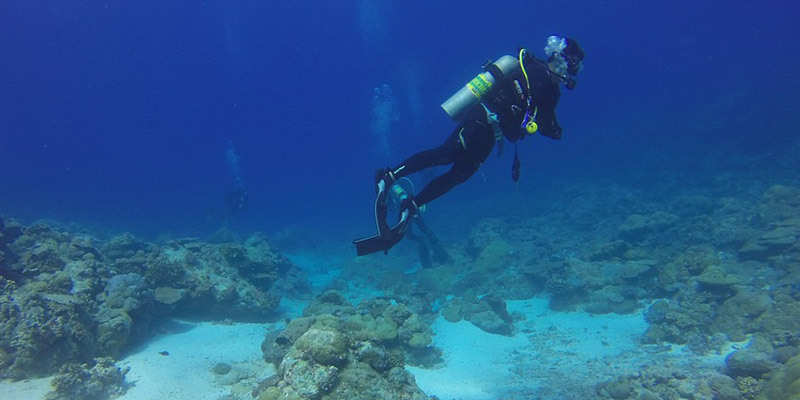 The popular scuba diving spots for all level divers are Bob’s backyard, south pilot reef and J table. For beginners, Aquarium and Lighthouse are the ideal spots. The average depth of these places is 12-20 m. You can also go for the gorgeous white sand Elephant beach which has an exclusive shallow Coral reef. To assure there are no fatal risks during scuba diving, the life guards on the shore keep a sharp eye on the tourists. They’ve got your back! Enjoy the water world for some days. 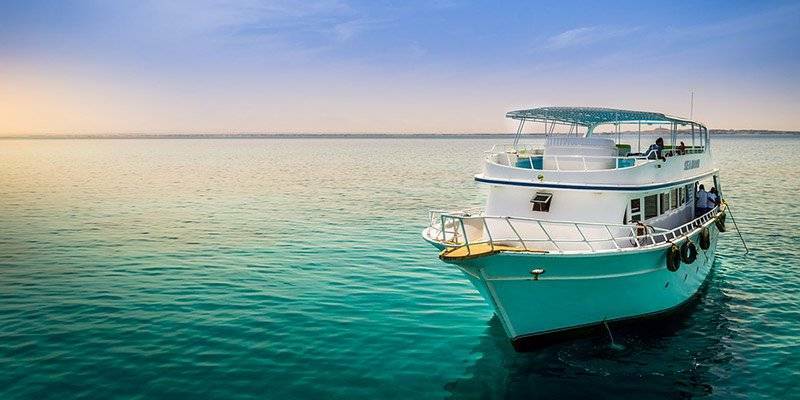 Live on a boat where you will be provided with great sea food and scuba diving before and after your meal!!. All those days with nothing but the blue sea around you will give a completely new perspective about the life in this world. Andamans are so far the only place where you can experience the life of living aboard. There is a world class live aboard called MV infinity, which runs in these Islands every year from September till May. They have specialized in scuba diving and promise to give an experience like never before. They have all modern equipments, a proper emergency management, an excellent communication system and all the essential scuba diving gears. Be a castaway for few days but with good food and adventure. Something Tom Hanks didn’t have! They got more for your adventurous soul, exclusive experience of scuba diving known as Wreck Diving. This activity includes scuba diving to places that have wrecks of ships or boats and each one of them has a history behind them. It is a chance to explore what very few people might come across in their entire life. All those lives lost, all those screams locked inside the steel walls, the giant hull and the mysterious cabins. All this creepy things will give a chill through your spine. The most haunting and yet the most popular spot for this is the Inner Wreck in Havelock Island. It was a Japanese ship “Inket” that sunk here during the Second World War. This site has now become an artificial reef for many marine creatures and you would be intrigued by the soft corals living on it. Dive site has a giant 18 ft propeller which is the major attraction and will make you skip a heartbeat or two. Another popular wreck is the MV Mars near Havelock Island. It is a small fishing boat that wrecked due to a strong storm in 2006. You’ll come across schools of barracuda and other stunning creatures. There is no doubt why this place attracts marine photographers from everywhere. With all this facilities at the affordable prices, the Andamans definitely stand unparalleled in terms of a totally enthralling experience, professional services, vibrant marine life and crystal clear water. They make an ideal scuba diving destination for friends and family, professionals and amateurs. Need I say more why you should head to this place for a scuba dive you won’t experience anywhere in your country? *Starts packing camera* Book the tickets to see it for yourself!